Better yet, buy all their hats. SK hats are by far the warmest I've ever worn. I am slowly starting a collection of SK hats. I truly believe there is no reason to own any other brand. The snowdrift cap seems like it has more insulation which came in handy when I had to snowblow the driveway in -3° weather. 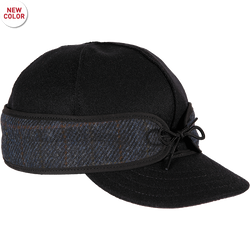 Love this hat, love all my Stormy Kromer hats! Thanks for being Michigan made and thanks for the always high quality caps. You have a customer for life. The xl cap was tight. The ear flaps did not lay flat against my head resulting in cold air leaking, not allowing my ears to stay warm. As per other reviews, size up a bit. 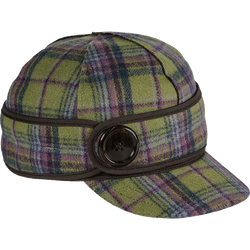 I am a little doubtful that this will actually keep the wind from my ears (I have rather large ones) as the ear flaps don't hug my face, even when tied under my chin, but the hat is thickly lined and nicely made. Top quality and warm. Ordered a larger size and fit good. They must not account for the lining and insulation. Great hat for winter ! 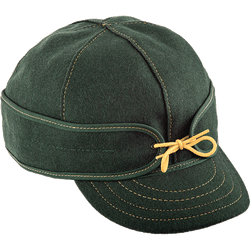 Bought my husband his first Stormy Kromer hat for Christmas, which he loved. I found this hat on sale and purchased it for him. It was a hit! Thanks for making nice quality products. Difficult to determine size as it runs small.